Monday evenings in term time: 2 hrs with a break half-way for tea, biscuits and a chat. We run as a not-for-profit co-operative, so the more members we have, the less we will all pay. 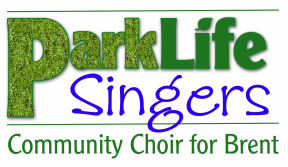 Contact parklifesingers@gmail.com to book a taster session, or just turn up 5-10 minutes early on the night. No obligation at all to join!